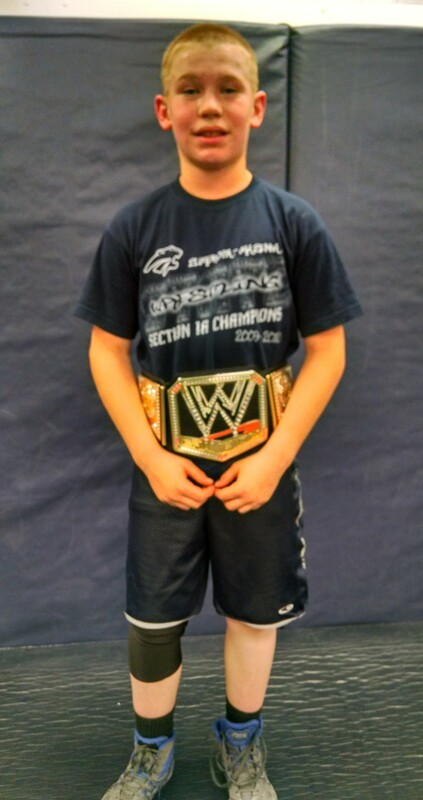 Our youth Wrestlers of the Week and earning the title belts are Peter Klapperich, Bodey Counsell, and Gabe Tupper. Peter is a kindergartner and son of Emily Klapperich. 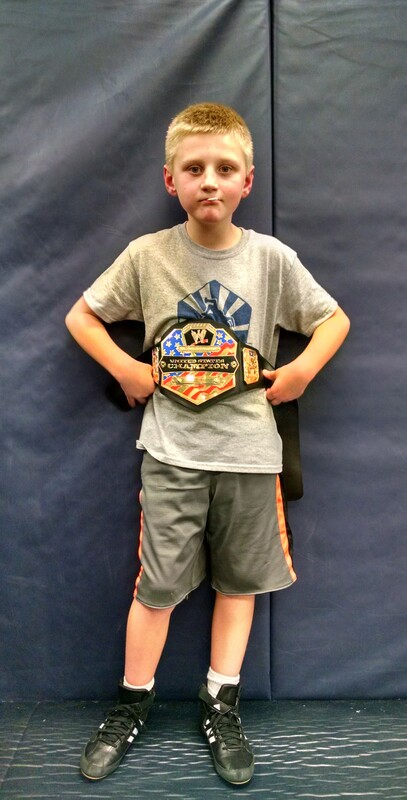 Bodey is in 3rd grade and son of Matt Counsell and Holley Counsell. Gabe is a 6th grader and son of Phil and Marissa Tupper. The youth team went 2-3 in Kasson this weekend. Fell to KM, DE, and Caledonia while besting Triton and Lakeville. They wrestled and cheered hard; so hard one wrestler fell asleep in the stands! 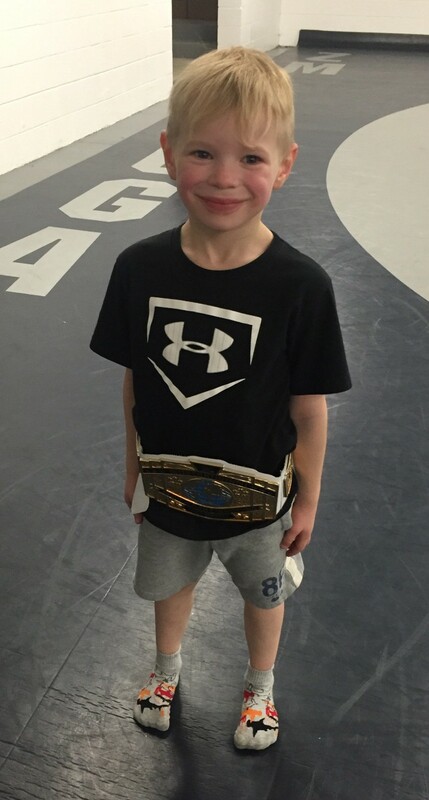 Tuesday- Youth practice: 100 Takedown Night. PreK-3rd at 5:45. 4th-6th at 6:45. Sign up for Friday scrimmage. ‘Relflections’ paper due for 4th-6th graders. 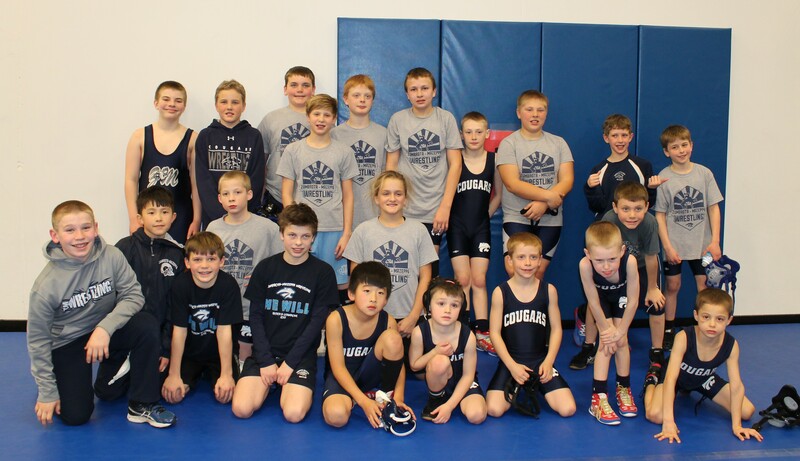 Friday- Youth scrimmage vs. KW @ 5:30 in Mazeppa old gym. KW @ Home. Wear pink and show support for those affected by cancer. Saturday- JV dual tournament in Mazeppa. Volunteers needed. Sunday- MN/USA State Qualifier in Cannon Falls.